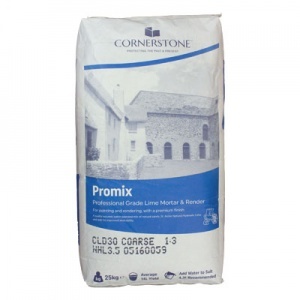 Cornish Lime – trusted lime experts and one of the largest manufacturer and supplier of lime products in the country – has developed a new bespoke range of traditional and contemporary dry-mix mortars. Perfect for use with specialist projects, Cornerstone is fast making a name for itself with UK architects and specifiers. 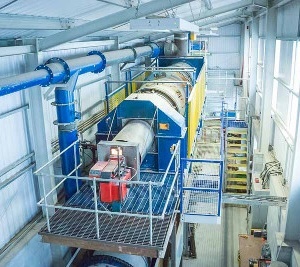 Having built a reputation over the last 25 years for the production and supply of high quality lime products, Cornish Lime wanted to develop a product that offered a premium finish, blended to your exact specifications, which was easy to use and, importantly, supported an industry-wide drive to reduce materials wastage. Phil Brown, owner and director of Cornish Lime, says: “The Cornerstone range of products marks the next chapter in Cornish Lime’s evolution. Building and rendering is in our DNA, and we are extremely proud of the reputation we have built over the last 25 years. Signifying a whole new approach to our materials offering, Cornerstone is the brand name for our new range of dry ready-mixed mortars, renders and associated products; all produced in-house by us at our new purpose-built factory on site here in Bodmin. Although not the first to offer dry ready-mixed NHL mortars, the beauty of the Cornerstone range is that it is made from Cornish Lime’s own extensive range of stock sands, or to customers’ own specific requirements, dried in-house to the firm’s strict design standards rather than using stock sands from 3rd party suppliers. This ensures a high quality product is guaranteed. Cornish Lime’s range of dry-mixed mortars only contain NHL from St. Astier, Europe's most respected and technologically advanced producer of natural hydraulic limes. Mixed using the widest available range of carefully selected sands, which are tried and tested to offer a variety of natural appearances and textures sympathetic and appropriate to the many and varied masonry that makes up vernacular buildings around the UK. As well as top quality products, Cornish Lime offers first rate assistance in selecting suitable materials, and supporting those products with as much in-depth technical information as possible. It is this kind of service that has placed the well-respected firm in the vanguard of conservation materials supply. With a reputable trade background in the care and repair of old buildings and a comprehensive understanding of historic building fabrics, the Cornish Lime team’s knowledge base is practical and one that it strives to develop for the benefit of its customers. 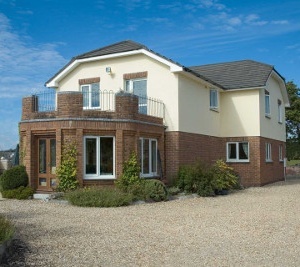 See the range of Cornerstone products currently available. Marshalltown Pointing Trowel 45 "